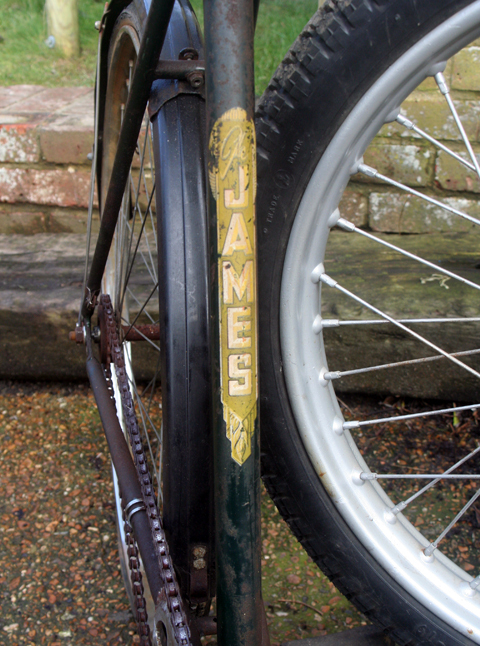 After 30 years of motorcycling (and motorcycle dealing) I’ve had more than my fair share of James machines. I’ve always had a soft spot for them. 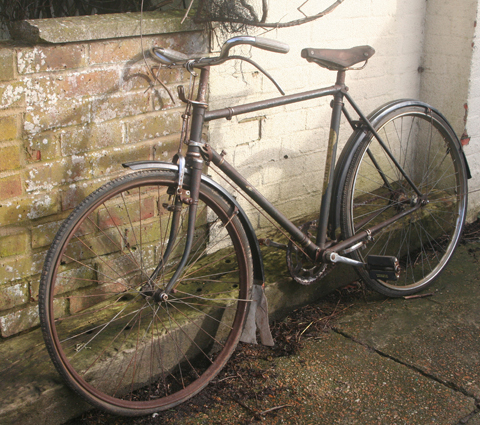 So when I bought a Cyclemaster recently and the seller told me he also had an old James bicycle for restoration that he never quite got round to fixing, I expressed some interest. As soon as he confirmed that it still retained its transfers in good readable condition, I promptly added it to my shopping trolley. 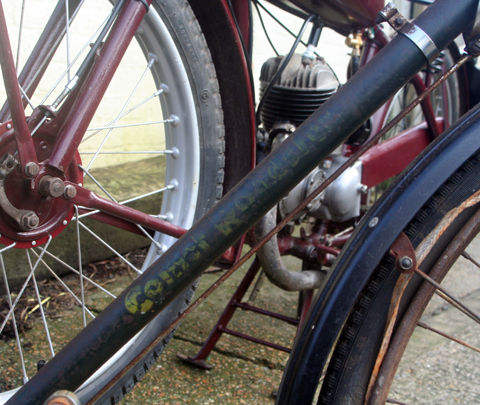 Coincidentally, when Simon the delivery man picked it up for me, he already had on board a James Comet motorcycle that I’d bought for a customer. 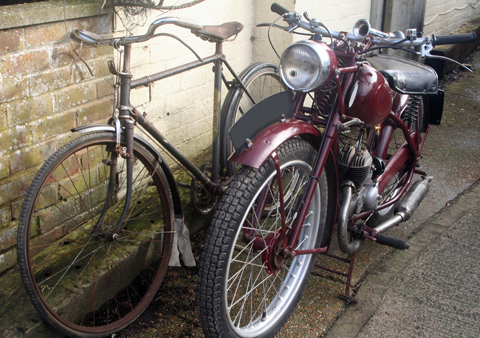 The two arrived together and, before the motorcycle was re-delivered to its purchaser, I took the opportunity to photograph them together. 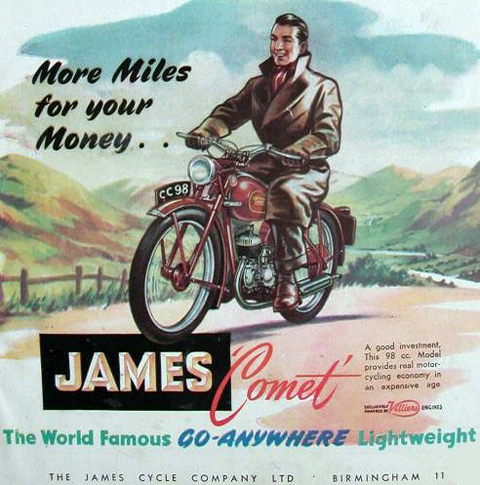 I’m not sure if anyone has got round to photographing a James Comet bicycle and motorcycle before but, if not, I hope you enjoy this very minor footnote in James history. 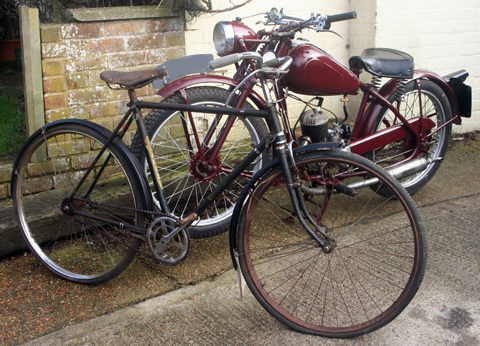 It’s only a 98cc motorcycle, but it looks big next to a bicycle. 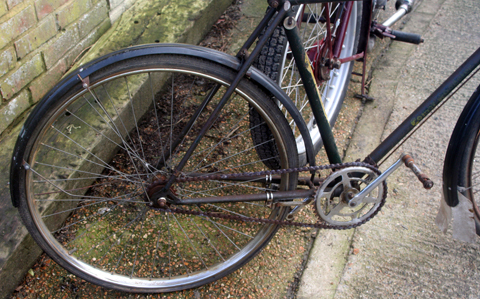 The Hanrez fits into the rear wheel hub, as you can see below. 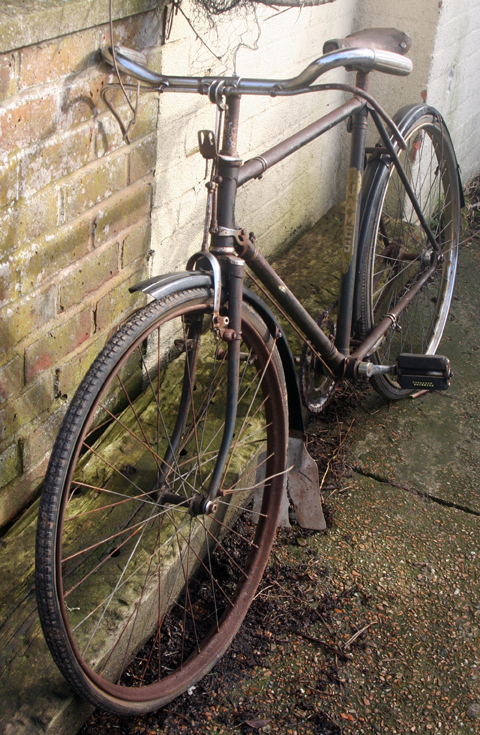 Unfortunately this one is missing its special hub, so I’ll have to machine a hub to fit the spindle. 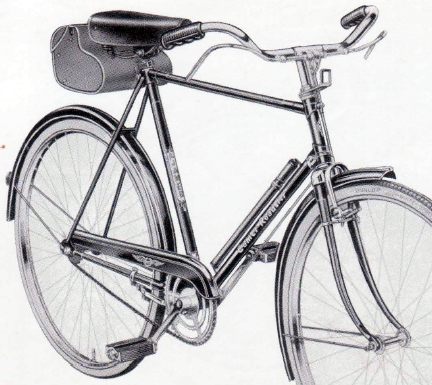 The Societe des Ateliers Hanrez was a small company in Brussells that manufactured these 63cc Comet engines between 1949 and 1951. Not many were made. 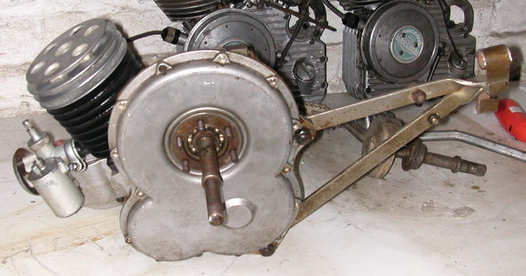 I got this unusual engine from a friend in Belgium: he wanted an interesting British auxiliary engine, so I found him a good Cyclaid engine and received this in exchange. I spend a lot of time doing such things: as we often comment, what’s common in our own backyard is exotic somewhere else. This Comet engine has never been used! It is ‘new-old-stock.’ His Dad worked for Hanrez; when the company closed down, the workers helped themselves to the engines that had been thrown out. 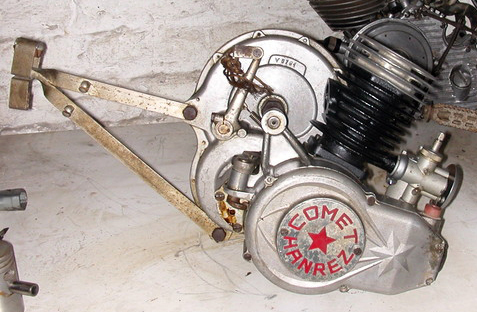 I’ll update this page as I progress with installing the Comet engine into the Comet Roadster.